I had this general idea to post an update on my New Year's Resolutions come the beginning of July. Almost like a check in to myself of where I stood. As I started to look back, I realized that while I may have shared bits and pieces of my goals this year, I never really actually shared them with you. Much less how I actually divided them into three parts (because one just isn't enough): Financial, Personal, and Business. Over the next month, I will be sharing with you what the goals were and where I actually stand. Right, let's get to is! This is a topic that I am very passionate about. As I've mentioned before, I have a very heavy financial background. But I would like to point out that I am not exempt from financial mistakes. Let's take it back 12 years to college age Mayra (this hurts). I can remember being in class and my teacher telling us to take out as many student loans as we needed for our education because though our first job we would all be set to pay it off in no time. Call me naive but I did just that and maybe a tad bit more. I believed her. I thought it really would all be taken care of for me. Enter the recession and fast forward to present date, I am still paying on those student loans. The plan is in place and I hope to be done within the next three years if not sooner. Yet when I look back, I shudder thinking of how irresponsible I was with my finances. Goal: Pay off my car. Goal: Build a savings account. I was notorious for building my savings account and then draining it when I came at a fork in the road. Once I really dove into my finances I really figured out a way to save wisely. I talked all about it here. I started with $0 in my long term savings account this year all because of loss of income. I was not prepared. We were not prepared. And I knew I did not want to live paycheck to paycheck. I have been successful so far in setting up automatic transfers from my checking out to my savings account and NOT touching it. I took that "wiggle room" and increased the amount of the monthly transfer. I didn't even feel the hit in my checkbook because I was already used to that amount of money coming out for my car payment. Goal: Create a retirement fund similar to a 401K. Because I work in the school system, we are not offered a traditional 401K. We do have TRS (teacher retirement system) but we are not able to increase the amount taken nor does the district contribute to it. In the long run, this alone will not get me very far. I called the district and asked if there was something that they offered for its employees that I was not aware of. Sure enough, there was. It is basically the same as a 401K in that it is invested for you with the same structure of aggressive level and you can also select in which groups you want your money working in. It differs in that it is done by monetary amount instead of a percentage of your check and the District also does not match or contribute to it. Still it is something and I went ahead and enrolled. Again, a little bit as I can only do so much but have the option and plan to increase it come next school year. 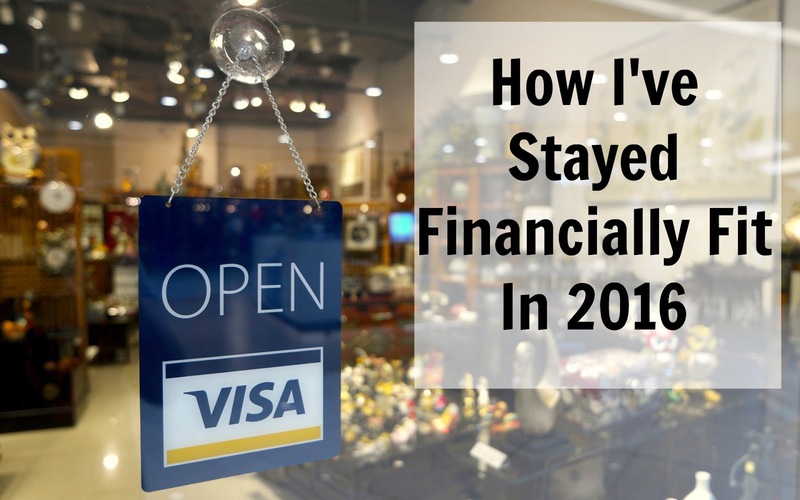 Goal: Don't go into next year with credit card debt. I shared here how husband and I payed for our wedding. I mentioned the use of two credit cards and our plan to pay them off. We completely paid one off and are well on out way towards paying off the second one. If we stay on course, we will not go into 2017 with any credit card debt. The only debt we will have is one car payment, my student loans, and our mortgage. Goal: Charity donation every quarter. Regardless of any financial woes my family or I have gone through, I still consider myself and us to be very blessed. I have personally seen God's hand in resolving things for me that were completely out of my power . He provides for us on a daily basis and I in turn want to do my part to help those who need to see the light. I had plans to donate to a specific charity each time but God had other plans. There were two families in my life who needed help and I chose to direct our money towards that. It is not charity when you help a loved one. It is simply giving love in monetary form. And if that happens the next two quarters of the year, then my heart will be full knowing that I was able to help others just like countless times others have helped me. Goal: Look into creating an IRA. I shared here on how I will be taking this step at the end of the year. When I worked retail, I would purchase stock all year and let it work. Come Christmas time, I would withdraw what I needed to purchase gifts. Basically I was using it as a savings account but in the long run this isn't smart. For one thing, you end up taking a hit when you sell it and then come tax time you have to declare it as income. Stock is purchased to work for you in the long run. I am hoping to get this going again before the end of the year. All in all I have been really conscious of my spending this year. Things such as meal planning, eliminating cable, and lowering our cell phone plan has really contributed to my savings. I thought it would be difficult at first, but now I am excited and less stressed. Watching my finances shift just a bit into the right direction has really given me hope for a financially fit life. *This post is not sponsored by Credit Card Insider, however, this post was created in reference to me having talked to them. Congrats on learning from your mistakes. I swear the only think that kept me from taking out student loans is (a) my mom was smart enough and fought to put money away for my college (whole family including my dad didn't support this) and (b) mom encouraging me to save for a master's degree (it was expected and I didn't question it), which I did get and was able to cash flow because of that savings. That is such amazing guidance. Good for your mom and ultimately for you as well! Wow this is such a great and detailed post. We recently moved from Canada to US and I refuse to carry any credit card debt here. Student loans were an unfortunate aspect but worth every penny for us. I hope to pay it off in three years, which is gonna be hard but I'm gonna try!! You are right they are unfortunate but worth it. In the end it was the only way that I could pay for college and I do not regret taking them out. What I do regret is taking out "additional" funds and not just what was needed. You have a lot of great goals! You have inspired me to begin making similar goals for myself!